Reading progress update: I've read 100 out of 376 pages. "The only reason to give up one's mistress is if one happens to love one's wife. And as I do not intend to choose a wife with whom I might fall in love, I see no reason to deny myself the pleasures of a lovely woman like you." This is Anthony, the book's supposed hero, talking to a former mistress of his about the prospect of renewing their relationship. He thinks it's a private conversation, but he doesn't realize that Kate is listening in. The future wife he doesn't intend to fall in love with is Edwina, Kate's younger sister. 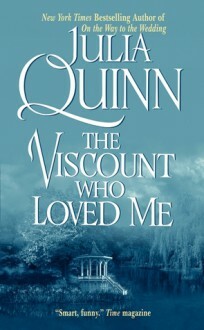 Like most of Quinn's books, this is making for smooth reading, and there's occasional fun banter. Unfortunately, I'm not happy with Anthony as a romantic hero. He may be an excellent brother and son, but as a potential husband, he seems like garbage. Earlier, Edwina and Kate had a conversation in which Edwina said she thought he'd make a good husband because everyone always says he's so kind to his family members. Kate responded that men don't always view their wives as being in the same category as blood relatives. Anthony appears to be one of those men, and it really doesn't speak well of him. Reading progress update: I've read 72 out of 376 pages. Kate's corgi just got everyone wet. I'm sure that's annoying, but Anthony's anger seems extreme. And I agree with Kate, it was out of line for him to assume that she somehow directed her dog to push Edwina into the water. Reading progress update: I've read 18 out of 376 pages. I've read this series all out of order. 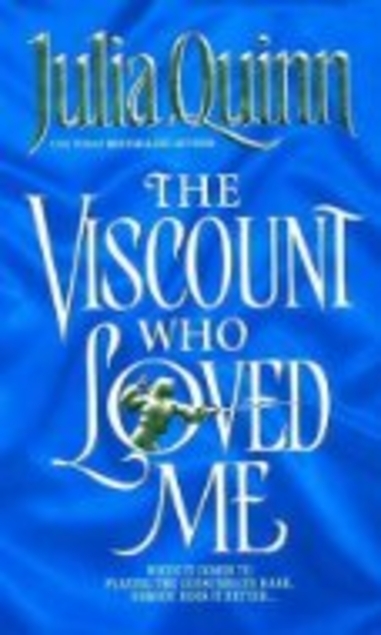 The last Bridgerton book I read revealed the identity of Lady Whistledown, so it's a bit odd reading this and realizing that the banter at the beginning is a giant clue. Crossing my fingers that this doesn't turn out to have Kate and her beloved younger sister, Edwina, both in love with Anthony Bridgerton. Please let Edwina fall for someone else. I'd even take "Kate thinks Edwina is in love with Anthony, but she really isn't." 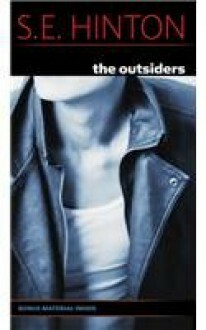 I love everything about this book, the writing, the story, the characters. The family dynamic between the Curtis brothers--the whole gang, because they're all one big family that looks out for one another as best they can. It's both beautiful and sad. I'm only sorry I took so long to reread this. The Christmas He Loved Her by Juliana Stone is a phenomenal story. Ms. Stone has gifted readers with a well-written book and furnished it with an outstanding cast of characters. This is a Christmas story, yes, I read them year round, don't judge. I love the characters in this book. Jake is a little on the angsty side, but it's not overwhelming. Jake and his twin brother had always been best friends with Raine. Raine married Jake's brother. When Jake's brother is killed in the war, Jake and Raine spend a night together while they are both still grieving. Jake leaves the next day and finally returns after over a year has passed. Jake and Raine's story is loaded with drama, humor, sizzle and guilt. I enjoyed reading The Christmas He Loved Her and look forward to reading more from Juliana Stone in the future. The Christmas He Loved Her is book 2 of the Bad Boys Of Crystal Lake Series but can be read as a standalone. This is a complete book, not a cliff-hanger.